Welcome to the land of the beers and the mussels – Belgium. This amazing European nation boasts of an impressive art and culture, history and numerous unique UNESCO sites. It is very common to find yourself getting caught up in a colorful carnival on the streets of Belgium, next to which even those of Rio may look washed Belgium tourism prides for its motto for good life. It will catch up with you too. While you are in Belgium, your travel itinerary will be packed with a lot of sightseeing activities. Brussels itself is a revelation, with its multi-layered diversity in culture and living. The city is a wide panorama of landscaped parks, museums, galleries and other places of interest. You can start off with the Grand Place, and then move onto the Town Hall in Brussels, Palais Royal, Manneken Pis, Coudenberg, Galeries St. Hubert and the Atomium, among others. 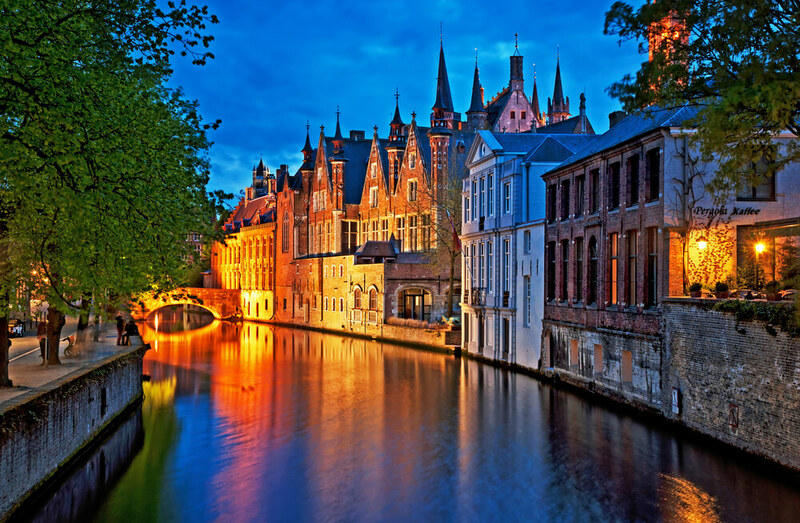 Move on from Brussels, and you can have the time of your life in the exotic cities of Bruges, Tournai, A theatre of war(s), Ghent, Antwerp, Chateaux and castles of Namur, Liège, and Charleroi. Recent additions to the many tourist sites in Belgium include the likes of the state-of-the-art galleries of Mons and Leuven and the Herge museum, most of which are eyeball grabbing. Cross country travel on a Belgium tour is made easy with the seamless regularity of public transports like train. You can therefore traverse the country and enjoy its beauty by availing the benefits of the public transport system. If the countryside beseeches you, you can travel to the French speaking Wallonia in south Belgium, and while off your time staying at village inns and visiting castles, caves and bucolic valleys in the region. Beer definitely rules the roost in Belgium. With over 650 different varieties, your options are vast and unlimited. While in Brussels, you can go on an exhilarating beer trip and make a pit stop for tasting a glass of non-malted wheat Lambic beer or Gueuze-Lambic (a blend of two or more Lambic beers with a champagne-like fizz). Proceeding further on the beer tour, you can go to the Notre-Dame de Scourmont Abbey in Chimay, to sample the famous beer and cheese produced by the monks there. The beer tour will take you to some interesting places, where you will be able to enjoy the scenic vistas and the world famous beers, simultaneously. Belgium dishes out some gourmet foods which will add varied flavors to your tour. During your trip, you can also engage in a lot of outdoor activities that Belgium is quite famous for. Go and enjoy an unconventional holiday by visiting this fascinating nation for a European Dhamaka experience. Belgium, The land of the beers & the mussels. This amazing European nation boasts of an imposing art & culture. Plan your trip to Belgium now!